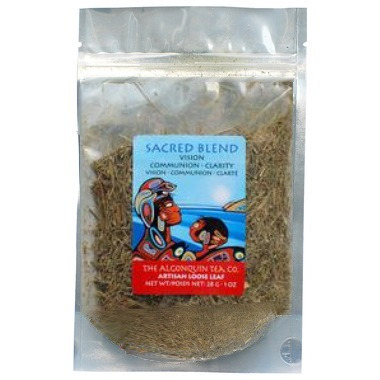 Algonquin Tea Co. herbs are ethically hand-harvested in the Boreal forest, or by canoe along the shores of pristine rivers and lakes, or grown on inspected farms. As a result their herbs are some of the purest and most vibrant available in the world. Their indigenous people have long understood that plants collaborate with our body and spirit’s natural ability to maintain good health. This product is not intended to diagnose, treat or prevent any disease. Contains no caffeine, additives or preservatives. Beautiful tea for flavor and vibe. I drink it when I am going to do yoga or meditation. Psychologically it works wonders.